Fiesta ST, a performance model first launched in Europe back in 2005, is yet another proof point from Ford that small cars are anything but boring. In addition to a precision sport-tuned suspension and improved braking system, Fiesta ST packs a punch under the hood. 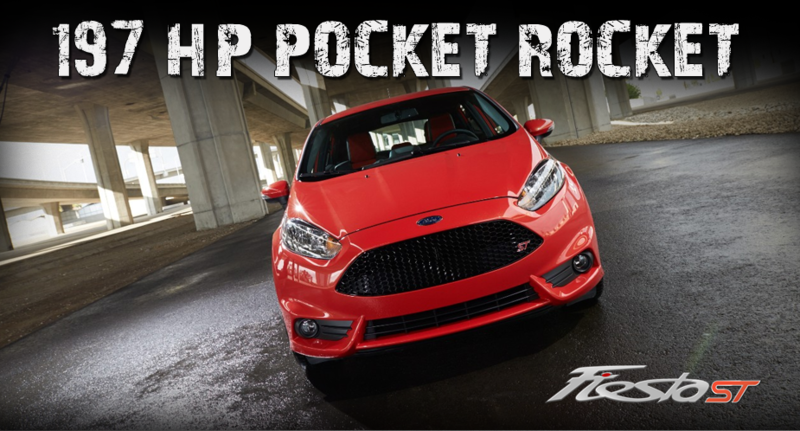 A new high-output variant of the award-winning 1.6-liter EcoBoost® four-cylinder engine propels Fiesta ST with an estimated 197 horsepower and 202 lb.-ft. of torque. In comparison, Mini Cooper S makes do with 181 horsepower and 177 lb.-ft., while Chevrolet Sonic RS produces just 138 horsepower and 148 lb.-ft. Unlike the competition, Fiesta ST doesn’t simply look like a performance car; it’s got the guts to back it up.